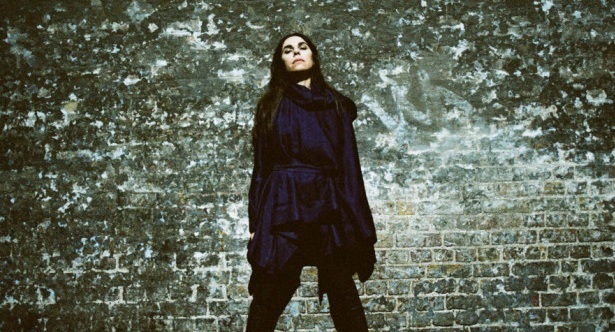 PJ Harvey has turned a very sad corner. Since the early ’90s she has brought on one surprising twist of an album after another, churning out excruciatingly painful songs, switching between raw, alternative angst and highly aestheticized lullabies. To Bring You My Love still haunts on until this day, White Chalk still deliriously floats, and Let England Shake never stopped rattling, so obviously expectations were as high as the standards she set for her craft. However, her ninth studio album, The Hope Six Demolition Project, is surprising, sadly, because of its lack of renewal, innovation and frankly the overabundant imagination flowing through each of her previous releases. After first listening to her previous release, 2011’s Let England Shake, I had a similar feeling. it felt as if she swept away all the magic, the aching tenderness permeating her work, and instead took a righteous stance from which she wanted to address serious issues. The album turned towards the outside, renouncing emotion as the core of her songs, being part documentary, part imagined WWI scenes, but it grabbed me completely and managed to become a slight obsession of mine for some time after its release. It is at its core a protest record, but one so finely crafted, so subtly didactic, that you can very easily get lost in the wonderfully somber atmosphere and not notice the lesson behind it, while of course absorbing it unconsciously. It also marked a musical turn towards very modest means. The record’s sound is a pretty soft, mostly guitar driven one, focusing as always on Harvey’s vocals, while remaining very grounded. Flourishes or extreme exercises are completely absent, in order to not distract from the essence of the songs, the words. The Hope Six Demolition Project is a successor to Let England Shake not only in a chronological sense, but also thematically and sound wise. Harvey remains in her socially involved mindset, but extends her scope from England and its involvement in WWI, to Afghanistan, Kosovo and Washington D.C. After a series of travels to these areas with the photographer Seamus Murphy, she released a book of poetry inspired by them in collaboration with Murphy and the album is also part of this project. Like on Let England Shake, the essence of her songs are small episodes observed in these areas and turned into simple illustrations of the wrongs of our times or into allegories serving the same purpose of pointing out wrongdoings and injustice. The drums are still pretty subdued, featuring a lot of tambourines, the guitars still focus on underlining vocal melodies, call and response tactics are still used extensively throughout the arrangements, one element which is featured much more prominently than on the previous record is the saxophone. On the first single, The Wheel, it might seem a bit overkill with its short riff quickly becoming stale, but the solos on songs like The Ministry of Social Affairs or Dollar, Dollar, might change your mind. Harvey’s melodies and structures are as exquisitely written as ever, but are nothing new. This is where the album fails. The corner mentioned at the start is either PJ Harvey turning repetitive and mildly uninspired, which is hard to imagine in her case, but might be a sad truth, or starting with Let England Shake, she renounced her sharp aesthetic edge. In the first case, there is not much to say, except hoping that she might get her excellent mojo back, while the second scenario would be a bigger pity. Of course, it might sound a bit douchey and condescending to reduce social activism and civic involvement to an artistic phase like the theatrics of White Chalk, or the angst of Rid of Me, it is more than that, but in case Harvey devotes herself to such work, we have yet to wait and see how this stage of her work develops. While writing this review I find myself listening to Let England Shake once more, which sums up The Hope Six Demolition Project’s most powerful effect, namely the urge to go back to its predecessor. The two releases are clearly cut from the same cloth, but while The Hope Six Demolition Project has greater ambitions, it pales in comparison to the softly invasive force of Let England Shake. The songs very successfully fulfill their purpose, they raise awareness, they point fingers and draw attention, but sadly do no more than that.